​An ideal home to raise a family just blocks from schools, parks, pool, shopping & more! The fenced yard offers an expansive patio & separately fenced area with pet door into garage for your 4 legged family member. 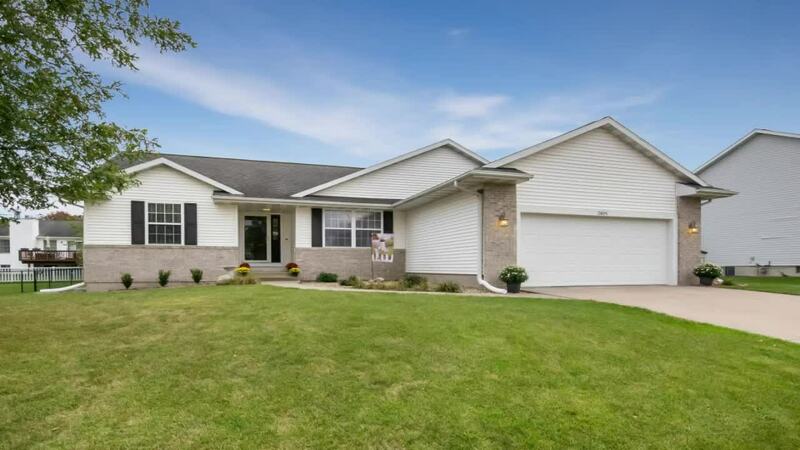 This home is well cared for & offers an open floorplan, eat-in kitchen as well as formal dining (could be office/playroom/music room), huge master suite with double sinks, spacious walk-in closet & adjacent laundry/mud room with lockers. The LL offers a large theatre space (all audio equip included), pool/gaming area, 4th bedroom, 3rd full bath & large bonus room with french doors & closet. Replace the window with egress for a 5th conforming room- seller will credit back cost of window with an acceptable offer.